Gabrielle Wilson has the perfect life: a Beverly Hills mansion, a loving family, and a massively successful PR firm. When her father admits that an affair he had years before resulted in a daughter, Gabrielle is shocked, but is actually happy. Could this be the sister she has been praying for all her life? Keisha Jones’s life is a struggle. Her late mother worked on the streets, and school was its own nightmare. When Gabrielle offers to fly Keisha out of Arkansas to meet the family, Keisha instantly agrees. But Gabrielle doesn’t realize that Keisha has known about the Wilsons for years. Keisha is determined to have everything she has always envied, and nothing can stand in her way. Includes a reading group guide with an author Q&A and discussion questions for book clubs. 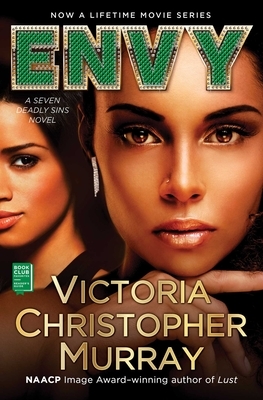 "Victoria is an exceptional writer who knows how to deliver a story." "Murray has always impressed me with her ability to live the life of her characters and make them come alive with each turning page."